Can you afford to miss this free training class? See the end of this post on how to sign up. Have you ever been in a situation where you are working on implementing a SQL Server based solution and you need to make a decision about the technology that could impact the rest of the project? How do you know the decisions you are making are the right ones, and do you know what the downstream effects are of the decision you are about ready to make? The wrong decisions can leave you with mounds of technology debt, or in other words issues that you are going to have to go back and correct before you can move forward with new development. Less than optimal decisions may leave you with performance issues, reliability concerns and even recovery problems. The class will be near the Denver Technical Center on September 26th. We plan to start close to 8:30 AM and wrap up around 4:00 PM. If you can attend please let me know as soon as you can because seats will fill up, RSVP by sending me an email here. For the next couple months I am going to be running around crazy. I figured I would take a few minutes to post my schedule. If nothing else to remind me of where I am supposed to be. Tuesday Sept 9th – I will be doing a session with my good friend John Morehouse (T|B). We will be speaking at the 24 Hours of Pass, this will be a free event. It is designed to give everyone an opportunity to get a taste of the PASS Summit without the travel. Sept. 21st – I am staying a bit local, Denver is hosting SQLSaturday #331. I can’t think of many things better than doing an event so close to home, I don’t have to take a plane or an extended drive in the car. In Denver I will be speaking about Managing a 0 Downtime Shop. 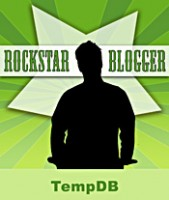 Sept. 26th – I will be doing an invite only event on approaching real world SQL Server design issues in Denver. This is going to be a full day event full of useful information. It looks like I will have the first half of October to move to Mission Texas with a short 1 week engagement in Dallas. Plans are still coming together for that. 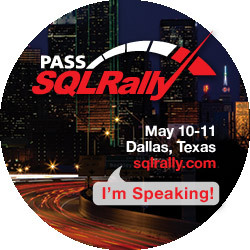 However after I get settled in to Mission Texas and start the next stage of my life where I learn how to say All Y’All I will be headed to the best SQL Server event of the year where I will be doing a full day pre-con for the PASS Summit, and a standard session at the PASS Summit. As if that is not enough for one week, I will also be attending the MVP Summit. Last week I had the privilege to speak at CodeStock in Knoxville, TN. I have to admit that I was not all that pleased at taking a red eye flight, but that is all on me. The city of Knoxville was nothing but a good experience. I found myself just amazed at how pretty that city is. The location for the event was awesome, and the food in Market Square was great as well. In addition to the great event that was organized the attendees were very kind. All in All I had a great experience, and for the first time in my life I was called ‘Shug’ short for Sugar. My slides and a couple short scripts can be found here. If there was something I mentioned you wanted to see and I forgot to post it please send me a note and let me know.